There isn’t a lot to be said about this poor creature other than ‘oh, dear!’. 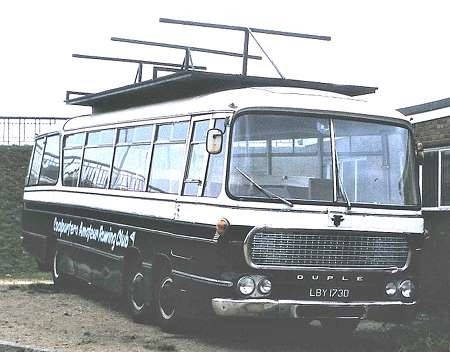 LBY 173D is a Bedford VAL with Duple body, new in 1966 and relegated to carrying club members and their boats to and from events. She is seen near the group’s premises near Northam Bridge in Southampton, on the dull afternoon of 21 September 1981. What might in other circumstances be thought of as part of the frame for the upper deck is the boat rack. 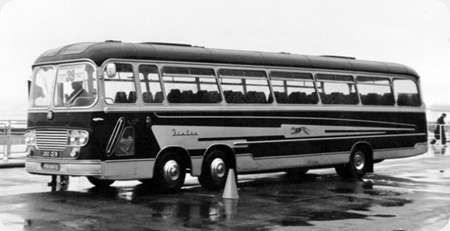 At long last, I have been able to gain access to Bus Lists On The Web! For some strange reason, I have not managed to gain entry until now. Perhaps I wasn’t hitting the correct buttons in the right order, but never mind. That website tells us that this vehicle was new to Rickards in May 1966. I imagine she had the maroon livery from new – what a comedown to this! 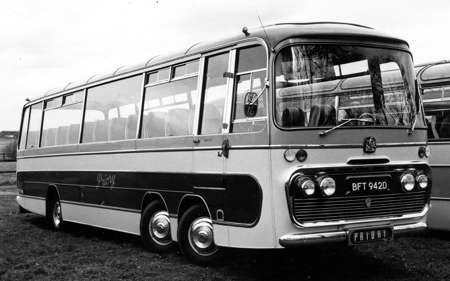 Actually, at 15 years for a Bedford, I don’t think this coach looks so bad. Decent livery and lettering reflecting I assume… Coal! It must have been over a few unsurfaced roads and even riverbanks and there seems little damage: bashed bumper, dent behind front wheels… and smart wheels too. The contraption on top looks odd when empty but loaded perhaps even impressive! Presumably the VAL was lower and better for the job?